Radhanath Swami’s room in the Radhagopinath Ashram, on that day, felt like the hollow of a scanning machine. What was scanned?—my mind, which had been for a while bristling with innumerable misconceptions—some related to philosophy and others to temple management. Who was the doctor?—Radhanath Swami, who diagnosed every wrong idea cooped in my skull and spelled out its folly. How was all this happening? After all, these were the thoughts that bounced secretly—just between me and my mind. “How did you know what thoughts I had been harboring?” I asked Radhanath Swami. “By observing you. Simply through observation I understand many things. 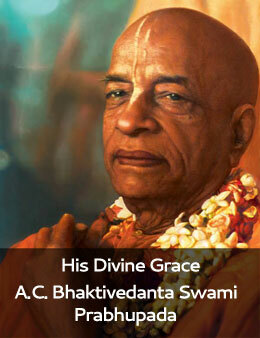 In fact, I learnt the basics of my spiritual life simply by observing the Ganges,” he replied. The air of mystery about his last statement was somewhat cleared-off years later, when I read his autobiography, The Journey Home. There he speaks in some detail of the times he spent on a rock amid the River Ganges. Radhanath Swami. He knows how to releave you. Great souls have the vision to see the invisible. Hare Krishna… Radhanath Swami Ki Jai ! Thank you Radhanath Swami Maharaj ! Hare Krsna ! Pure devotees can see every thing. All glories to H.H Radhanath Swami Maharaj. Guru can see right through you!! Thats perfect scanning with no technicality or sacualties because thats done by our beloved Guru Maharaj.Hare Krsna ! Thats perfect scanning by Guru Maharaj ! Hare Krsna ! The purity of great souls like Radhanath Swami guides us truly on the path of self realization ! Radhanath Swami is very observant and can read the hearts and minds of people. I have heard similar expereinces about Radhanath maharaja’s ability to learn from observations. Face is the index of mind, but many dont understand the basics of it. "It takes hard work to make something wonderful"
"Not a moment in human life passes that you are not accounted for"
"Compassion brings fulfillment to the heart. Selfish desires simply agitate the heart."